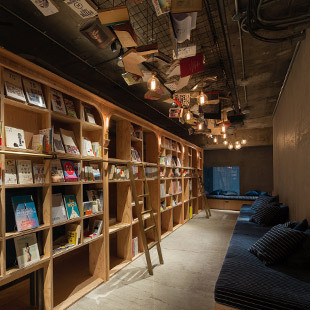 “Have you ever dozed off while reading without recognizing it?” This is the idea behind Book and Bed, a new bookshop-themed hostel that opened this month in Ikebukuro. 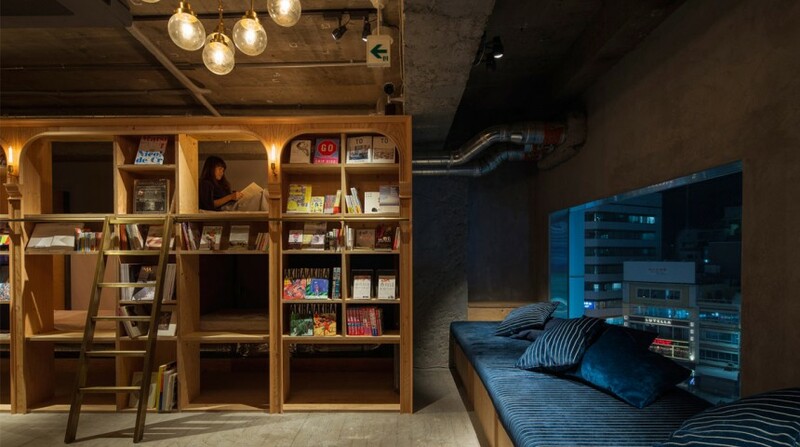 Describing itself as an “accommodation bookshop,” the quirky hostel makes no claims to luxury, explaining on its website that you will not find “comfortable mattresses, fluffy pillows nor lightweight and warm duvets.” What you will find is far more unique: custom-built bunk bed/bookshelves replete with books in both Japanese and English (with a few books hanging from the ceiling). “We invite everyone to share this experience with us, and let the lightness of a book in a bed overtake you,” a statement for the hostel said. 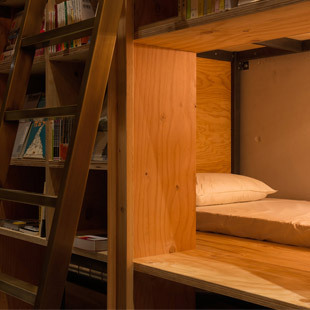 Book and Bed is the brainchild of the Japanese real estate company R-Store and Hiroshima-based Suppose Design Office, and can accommodate up to 30 bookworms in either standard or compact sized bookshelf/bedding units. Overnight stays also allow guests access to a well-presented communal space, as well as bathroom facilities and Wi-Fi. And, of course, guests are encouraged to browse any of the 1,700 titles on offer. Tokyo’s demand for all things books comes as little surprise, given Japan’s growing international reputation for its literature, with authors like Haruki Murakami and Banana Yoshimoto regularly making best seller lists. Book-themed services like Book and Bed continually pop up around the city. A savvy video clock installation by the graphic designer Masaaki Hiromura was installed in 2013, on the front of the Shibuya Muji store, which presents the time via three hand-turned books, indicating hours, minutes and seconds. Another tribute to the form is Bookcafe Rokujigen, the so-called “Murakami café” in Ogikubo, which has become a pilgrimage point for fans of the popular author. For those wishing to plan a stay at Book and Bed, it’s advisable to make reservations early. The hostel is already booked out through November, with roughly 30 percent of its clientele coming from overseas. However, for those looking for a few hours of seclusion the hostel also offers day rates for ¥1,500 (reading included).